"The 19 year old singer brings Hollywood glamour to a sultry story of love, drugs, and vanity"
"A heartfelt lowrider that woos its way into your teen dream heart like a rebellious cross betweenLorde and Christina Aguilera." Emerging vocal sensation Fiona Grey has been writing and performing music for over 10 years with Los Angeles as her backdrop. Originally from Chicago, Grey utilizes the earnest nature of her raw vocal quality defining her sound as “dark pop” teased by shades of sultry, soulful melodies. 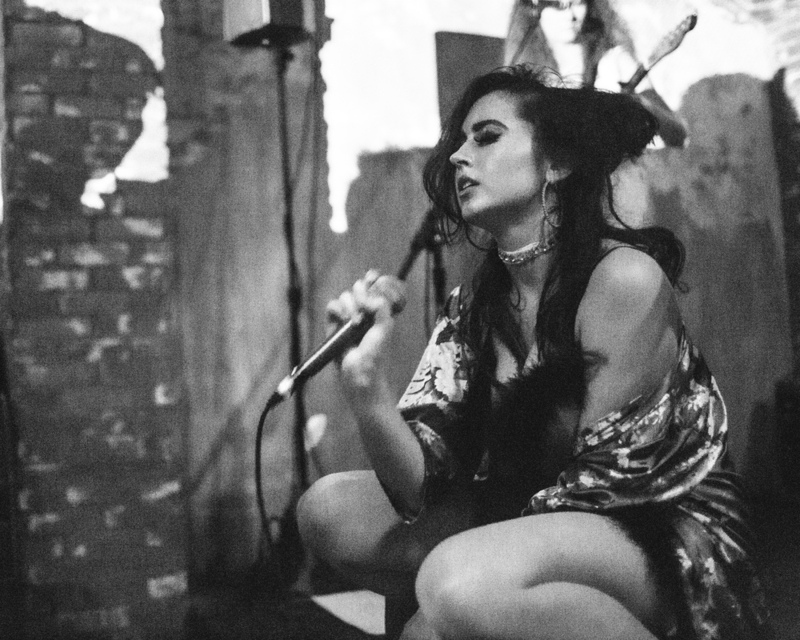 In 2014, Grey toured North America performing vocals for KITTEN alongside artists Charli XCX, Foals, and Liz. Her voice has been heard on nationally renowned stages such as Ahmanson Theatre, The Walt Disney Concert Hall and recently took LA’s The Troubadour by storm with music from her 2014 EP "Belladonna". Grey has received airplay on KCRW, KX935, KUCI and college radio stations around the country. She describes her upcoming EP as a journey through obsession, bliss, and heartbreak, drawing parallels between the powers of worship and money. In the new EP, Grey shares her perspectives on nontraditional forms of love, showcasing her most mature music yet. She vocalizes her vulnerability and anger toward the world we are living in while expressing her desires for the world we are shaping.